WELCOME TO YAS ISLAND ABU DHABI A world of opportunity awaits you at Yas Island! Located just 25 minutes to Abu Dhabi and only 45 minutes to Dubai, guests will discover worlds within worlds as they explore the various charms Yas Island has to offer. On the western shores of the island, overlooking the sparkling Arabian Gulf, Yas Links is a picture perfect golf course. Thrill. Adventure. Imagination. Curiosity. Joy. That’s what moments are made of at Ferrari World Abu Dhabi. With 37 record-breaking rides & attractions for everyone in the family, your spark could be closer than you think. Splash into over 40 rides, slides and attractions at the Middle East’s leading waterpark and enjoy everything from the region’s first water cinema to the world’s longest suspended rollercoaster. Enjoy a variety of premium motorsport events, or take part in a driving experience in Yas Marina Circuit’s own fleet. White sands, crystal clear waters and natural mangrove surroundings make Yas Beach a serene escape from the bustle of the island. Abu Dhabi’s largest mall offers an exciting range of enhanced shopping concepts, more than 400 retailers, 20-screen VOX cinema and Fun Works. Enjoy six uniquely themed lands, 29 stateof-the-art rides, interactive family-friendly attractions and unique live entertainment at the world’s first ever Warner Bros. branded indoor theme park. and more than 15 world clas restaurants for you to choose from. Feel the buzz of the crowd at the city’s largest open-air, live venue from musical legends to cutting edge new talent. ‘The place to be’ with it its long corridors, sea views, 7 al-fresco restaurants and children’s play areas. Here, jet cruises and yachts take you to the tranquil sunset glow along the Abu Dhabi coast. Gateway House 28 The Quadrant, Richmond, Surrey TW9 1DN, United Kingdom Tel: +44 (0) 20 8271 2158, Email: arabian. helpline@reedexpo.co.uk Web: www.arabiantravelmarket.com Arabian Travel Market is owned and protected by Elsevier Properties SA and used under licence. Reed Travel Exhibitions/Reed Exhibitions is a registered trade mark of Reed Elsevier Group PLC. © Copyright This show daily is published under licence by Reed Exhibitions Limited. The copyright in the design and content of the show daily is owned by Reed Exhibitions Limited or its licensors. No part of this publication may be reproduced, stored in a retrieval system or transmitted in any form, by any means – electronic, photocopying or otherwise – without the prior permission of Reed Exhibitions Limited. Intellectual Property: Arabian Travel Market, the Arabian Travel Market logo and ATM are trade marks of Reed Exhibitions Limited. RELX Group, the RE symbol, Reed Exhibitions and Reed Travel Exhibitions are trade marks of RELX Group plc. echnology and innovation have long been changing industry best practices and the hospitality sector is no different. In fact, according to latest figures by Colliers International, Artificial Intelligence (AI) will not only change the travel and tourism market, but it could also help to increase hotel revenues by in excess of 10 percent and cut costs by more than 15 percent. In today’s challenging hospitality market, these are encouraging statistics. And in keeping with AI’s increasing significance to the sector, it is not only fitting, but essential that technology and innovation is the official theme of this year’s Arabian Travel Market (ATM). DISCOVER JOURNEYS OF ASIAN SPLENDOUR ON THE SHORES OF PALM JUMEIRAH. Encounter a blend of island luxury with vibrant city life for your seamless vacation. Anantara The Palm Dubai Resort oﬀers all the elements for a great escape – whether for days of seaside romantic bliss or fun-ﬁlled family adventure. Stay in spacious rooms or villas that reﬂect the Thai origins of Anantara, whilst embracing the lavish opulence of this ground-breaking destination. Laze by your private inﬁnity pool or step into the shimmering lagoons straight from your room. Exquisite gastronomy awaits at our ﬁne dining venues. Experience a traditional Turkish Hammam or one of our signature therapies in the soothing surrounds of Anantara Spa. Delight in a coastal paradise overlooking the glittering city lights of Dubai. For the ﬁrst time, ATM 2019 now comes under the umbrella of Arabian Travel Week, which kicks oﬀ on Saturday, April 27. Running until May 1, Arabian Travel Week comprises four co-located shows: ATM 2019, ILTM Arabia, CONNECT Middle East, India and Africa 2019, a new route development forum, and ATM Holiday Shopper, a new consumer-led event. 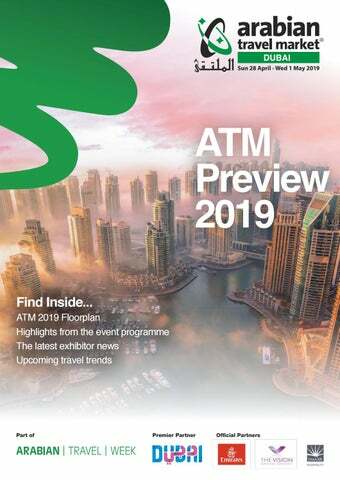 “The success of both ATM and ILTM Arabia has provided us with the platform to not only introduce two new events for 2019, but to create a travel week which encompasses the Middle East’s inbound and outbound markets for general leisure tourism and luxury travel, as well as providing a dedicated networking forum for the region’s top airline specialists, aviation authorities, tourism boards, airports and tour operators,” concludes Curtis. As well as a myriad of networking and business opportunities, ATM will once again help attendees learn more about the tourism industry through a series of seminars. Key sessions this year include: How to Positively Change the Perception of Destinations Using the Power of Social Media; Why Tourism is Saudi’s New ‘White Oil’; and, The Future of Halal Tourism, among many others. Slated to be the biggest ATM yet, visitors can also look forward to the Travel Tech Show, which will showcase the latest tech products and services, while the Travel Tech Theatre presents a series of seminars with industry experts. Returning this year, ILTM Arabia will connect international luxury suppliers with key buyers, while the Global Halal Tourism Summit focuses on halal destinations and how to sell halal travel. Also making a welcome return is the Buyers’ Speed Networking Session, which introduces exhibitors and buyers over ﬁve-minute meetings, as well as Career in Travel, which takes place on Wendesday, May 1. As well as these returning sessions there are a host of new events at this year’s show, including the ATM Holiday Shopper and the Digital Inﬂuencer Speed Networking session. Taking place on Saturday, April 27, the ATM Holiday Shopper will showcase more than 30 travel and hospitality exhibitors who will be oﬀering a range of attractive travel discounts and deals to those attending the show. Meanwhile, the Speed Networking session will take place on the last day of ATM and will provide an opportunity for exhibitors to take part in mini meetings with more than 50 travel bloggers to explore ways in which to work together. eed Travel Exhibitions have conﬁrmed that this year will see the launch of the inaugural Arabian Travel Week, which will take place from April 27 to May 1 at Dubai World Trade Centre. This umbrella brand will comprise of ATM 2019 and the International Luxury Travel Market (ILTM) Arabia, as well as new editions CONNECT Middle East, India and Africa 2019 and ATM Holiday Shopper. A The Resort in Jebel Ali is set to become Dubai’s largest experience resort when the brand new 348-room JA Lake View Hotel opens in September. The property will contain modern F&B concepts, including a restaurant from acclaimed Indian chef Vikas Khanna, as well as five meeting rooms for ‘bleisure’ minded clients. TIMELESS ARABIAN DESTINATIONS. TIMELESS ARABIAN DESTINATIONS. EXPLORE THE WONDERS OF ARABIA. 13:20 - 14:20 ONE TO ONE WITH ADEL ALI, CEO AIR ARABIA Air Arabia trailblazed the LCC (Low Cost Carrier) business concept to the Gulf region and recently celebrated its 15th birthday. From small beginnings the airline has grown to its current size as an operator of more than 50 A320 aircraft, flying in excess of 8 million passengers a year and delivering strong profitability. From the outset, Air Arabia has been led by Adel Ali, a widely respected leader with vast experience in the industry. In this ATM exclusive interview with him, we’ll explore the reasons behind the airline’s success and discuss its plans for future network and fleet growth as well as learning about its customer profile. Moderator: John Strickland, Director, JLS Consulting Speakers: Adel Ali, CEO, Air Arabia 14:40 - 17.00 ATM HOTEL INDUSTRY SUMMIT: OPPORTUNITY KNOCKS The first ATM Hotel Industry Summit will turn the spotlight on upcoming developments, technologies and concepts that will shape the region’s hospitality sector going forward. From new infrastructure and regional development hotspots to technologies and hotel models that put the guest experience first, a panel of industry experts will discuss how the industry will evolve. 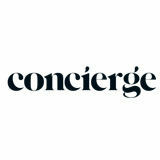 Moderator: Gemma Greenwood, Director, Content Inc.
high in the Business Travel industry. Abdul-Razzaq Iyer, vice president, Sabre Travel Network Middle East will speak to Zaeem Gama, CEO, Kanoo Travel, the leading travel company in the Middle East, about the landscape and dynamics of the business travel sector, challenges and opportunities in the Middle East and how Business Travel can be smarter to elevate the business traveller’s experience. Moderator: Abdul-Razzaq Iyer, Vice President, Sabre Travel Network Middle East Speaker: Zaeem Gama, CEO, Kanoo 14:45 - 16:15 CONTENT & STORY TRENDS GIVING CENTRE STAGE TO EXPERIENTIAL TRAVEL The Experience Economy is ripe for the picking and we’ve seen a rapid growth over the past two years in the activities sector as everybody tries to get on board with this growing trend. We’ll be looking at what makes a robust product and experience strategy for a destination, how to dovetail this with authentic messaging and storytelling and how to deliver this with effective targeting. Moderator: Nick Hall, CEO, Digital Tourism Think Tank Speakers: Dominique Audibert, Associate Director, Whalar; Sofia Panagiotaki, CEO & Founder, NEEDaFIXER; Mary Ames, Director of Strategy, Xische & Co.
often have inherently yet question through self-doubt and imposter syndrome. How do you take the plunge and get the confidence to lose sight of familiar ground in order to achieve success? How do you access your inner most strengths and call upon them at the most challenging yet possibly rewarding times? The Women in Travel meetup at ATM 2019 will discuss these topics with an exceptional team of speakers and mentors. Attendees will find themselves inspired, challenged and yet encouraged to take the plunge in order to pursue and succeed in their own ambitions in Travel and Tourism. WORLD Various forms of technology are transforming the hospitality industry, but what are their implications for personalisation and the guest experience? and the eﬃciencies presented by Artiﬁcial Intelligence (AI) look set to be an industry game changer. According to research conducted by Colliers International, personalisation through AI could increase hotel revenues by more than 10 percent and reduce costs by in excess of 15 percent – with hotel operators expecting technology such as voice and facial recognition, virtual reality and biometrics to be mainstream by 2025 – though as Paul Richer, Senior Partner at Genesys observed, “it is a baby that has just learned to crawl”. specialists are conducting AI business workshops to identify challenges that can be solved through the new technology. Tony Douglas, CEO, Etihad Aviation Group, said: “By upskilling employees to use technology to use technology powered by AI, we are future-proofing our organisation. We believe that human interaction augmented by technology delivers an enhanced experience for our guests which will give us a competitive edge.” Microsoft cloud data centres, in Abu Dhabi and Dubai, are being set up this year, while Plug and Play and Abu Dhabi Global Market recently announced Etihad and the Department of Culture and Tourism Abu Dhabi as their founding corporate partners for their new Travel and Hospitality Accelerator program. With new technology constantly being developed and sectors within the larger tourism industry always looking to ways to enhance the customer experience, there is no doubt that the airlines and hotels of the future will rely heavily on digital products. hat’s the most unusual national cuisine you’ve never tasted? Will you be hyperlooping to work anytime soon? How might we communicate with an alien species? Expo 2020 Dubai will explore questions like these, and many more, as the UAE welcomes 190 participating countries to showcase their culture, innovations and ideas for six months from 20 October, 2020. The next World Expo will take place for 173 days, each one brimming with new experiences. Visitors will have the chance to discover future-shaping technologies, sample global dishes from more than 200 restaurants, engage in thought-provoking discussions, criss-cross the planet via the Country Pavilions and enjoy a jam-packed programme of 60 live performances a day, including world-famous stars, comedy greats and local talent. Visitors to Expo’s 4.38 square kilometre site in Dubai South will also be inspired to become changemakers and help build a sustainable future for generations to come. espite cities across the Middle East transforming into urban metropolises complete with towering skyscrapers and modern attractions, these destinations have always strived to maintain a deep connection with their heritage and culture. Throughout the region there has been huge investment in cultural tourism programmes to provide travellers with fully immersive experiences. These encompass everything from art and archaeology to music and theatre. And with an increasing number of tourists seeking to become more immersed in local culture when visiting a destination, these cities are answering the demand thanks to a plethora of cultural offerings. an open book, is nearing completion, while the mega Dubai Historical District (DHD) project is starting to take shape. The project aims to rejuvenate some of the oldest parts of the emirate to transform the area into a culture and heritage centre, focusing on trade, crafts and the pearling industry. The first phase is currently under construction and the Al Shindagha museum - which showcases the UAE’s past through exhibitions, organised events, and specialised publiclearning programmes - is now open. Construction is also already well under way on the Museum of the Future. Located on Dubai’s Sheikh Zayed Road, the museum will be home to tomorrow’s trends and will be “an incubator for ideas, a driver for innovation, and a destination for inventors and entrepreneurs from around the world,” said His Highness Sheikh Mohammed bin Rashid Al Maktoum, Vice President, Prime Minister and Ruler of Dubai. In 2017, Saudi Arabia announced plans, as part of its 2030 Vision, to boost its cultural tourism oﬀerings. This included increasing the number of public and private museums from 155 to 241 and upping the number of UNESCO World Heritage sites from four to 10. It also outlined plans to increase the number of archaeological sites from 75 to 155, add 18 new archaeological heritage sites and expand the number of annual activities and cultural events from 190 to 400. In September last year, the Kingdom also launched Qiddiya, a 334 square kilometre entertainment, sports and cultural site situated 40 kilometres from Riyadh. Aiming to attract 17 million visitors by 2030, the ﬁrst phase is set to open in 2022. Combining cultural and outdoor experiences, Qiddiya will comprise rollercoasters, race tracks, cinemas, concert halls, indoor ski slopes, animal encounters, waterparks, sporting events and ﬁrstclass retail and dining options. Meanwhie, in Jeddah, the creation of the Hayy: Creative Hub will provide artists, playwrights, photographers, ﬁlmmakers and entrepreneurs with a platform where they can support, advise and collaborate with one another. “We will seek to oﬀer a variety of cultural venues — such as libraries, arts and museums — as well as entertainment possibilities to suit tastes and preferences. These projects will also contribute to our economy and will result in the creation of many job opportunities,” said a passage from Saudi Arabia’s vision 2030. In fact, Saudi Arabia has budgeted US$64 billion for arts, tourism and entertainment investment over the next decade. This has led to a number of hospitality brands pursuing aggressive expansion plans in the country as they compete for the expected increase in visitors to the Kingdom. The likes of Marriott International, Hilton and Rotana all plan to open numerous new properties in the country in the coming years, with Rotana Acting CEO Guy Hutchinson saying “we are optimistic that the Kingdom’s hospitality market will expand enormously and we remain committed to contributing to the evolution of the country as an economic powerhouse”. he past few years have presented a great deal of challenges for Gulf airlines, with the oil price slump and political instability having a huge effect on all carriers. However, the region’s aviation sector has responded in a positive way with a series of fresh strategies and creative plans in motion to help them successfully navigate through this turbulent time. The approach now looks far more positive for 2019 and beyond, with Alexandre de Juniac, director general and CEO of International Air Transport Association, noting that Middle East carriers can expect healthy passenger numbers, while global demand is set to increase by six percent overall this year. With forecasts looking far healthier, airlines throughout the Gulf are looking to get firmly back on track by embracing innovation, undergoing major revamps and refurbishments, investing in technology and entering into new and exciting partnerships. One of the world’s most successful airlines, Emirates has made major moves to surge into 2019 on a strong footing. Its “extensive partnership” agreement with sister low-cost airline flydubai has already opened a combined network of 216 destinations and throughout 2018, the two carriers jointly transported nearly 3.5 million passengers on codeshare flights to more than 80 destinations. And this year the partnership is set to grow even further. seats, cabin and all amenities onboard Emirates’ A380 and Boeing 777 aircraft. Towards the end of 2018, the carrier also announced plans for a ‘biometric path’, whereby Emirates customers can check in, complete immigration, enter the Emirates Lounge and board their aircraft by simply walking in, thanks to the latest technology using a combination of iris and facial recognition. to Amsterdam, which used a clean, alternative aviation fuel produced from plants grown in saltwater. In addition to this, the carrier announced that it was collaborating with Microsoft to launch the ﬁrst inhouse AI Academy in the region. The aim of this facility is to help the airline revolutionise the way it serves its customers by upskilling its workforce, optimising operations and creating alternative revenue streams. This will help showcase how artiﬁcial intelligence can ﬁnd solutions to business problems. billion (AED6.6 billion) terminal, featuring Omani-themed architecture and stateof-the-art technology. The new terminal is expected to boost capacity to 75 million annual passengers by 2020. Kuwait International Airport is currently undergoing a terminal expansion, while a new airport, the $12 billion (AED44 billion) greenﬁeld New Kuwait Airport, is under construction. Both projects are scheduled for completion by 2022. Bahrain is also following the trend with a $1 billion (AED3.67 billion) airport expansion, part of its eﬀorts to accommodate 14 million passengers per year. arlier this year, Turki bin Abdulmohsen Al Sheikh, the Chairman of the General Entertainment Authority announced a plethora of events aimed at positioning Saudi Arabia as one of the top four tourism destinations in Asia and top ten worldwide. This ambitious goal will be supported by the Kingdom hosting international stage shows, top music concerts, food festivals, sporting events and comedy gigs. However, entertainment is just one strand of the country’s bold plans to attract 28.5 million visitors annually by 2025 and increase tourism revenue. As outlined in Saudi Vision 2030, tourism will play a key role in boosting the economy, with international visitor receipts forecast to grow by 5.8 percent per year between 2019 and 2022, according to a report from BMI Research. According to the World Travel and Tourism Council (WTTC), tourism contributed US$18.2 billion (SAR68.4 billion) to the economy in 2014, a ﬁgure which rose to US$23.5 billion (SAR88.2 billion) by 2017. And there are now numerous plans in place to ensure this signiﬁcant growth continues. Religious tourism for the annual Hajj or Umrah pilgrimages, where Muslim pilgrims journey to the Holy sites of Makkah and Madinah, has always been one of the mainstays of Saudi’s travel sector. According to the Mecca Chamber of Commerce and Industry, 25 to 30 percent of the private sector’s income in the region around the two holy cities depends on pilgrimage. Under Vision 2030, there is hope that Umrah visitors will increase from eight million to 30 million annually. In 2017, the Kingdom unveiled plans to spend nearly $50 billion (SAR187.5 billion) over the following three years to boost Hajj and Umrah pilgrim numbers. This included the construction of the largest Islamic museum in the world, a huge upgrade of the Grand Mosque at Makkah and the establishment of the high-speed Al Haramein railway, linking the two Holy Cities. There will also be a major expansion of Jeddah’s King Abdulaziz International Airport, which is expected to be able to handle 30 million passengers annually once work is completed. investment designed to turn the Al-Ula region into a “cultural tourism hub”. homes, lifestyle and tourist facilities, as well as luxurious hotels and villas. “This year will be a milestone in NEOM’s journey. We are now preparing for the development of NEOM Bay area, which will provide a new concept of urban living that will enable it to become a platform for attracting the world’s top minds for creating advanced economic sectors,” said NEOM CEO Nadhmi Al-Nasr. English and Arabic, it covers 90 cities worldwide and is used by more than 1.5 million people each year. Halal Gems is another application that has proved immensely popular. Initially listing gourmet halal restaurants in London and Dubai, it has evolved into a digital magazine that features reviews, interviews and the latest trends in the halal food scene. “Smart technology will not only increase awareness about halal tourism, it also addresses Muslim needs through its services,” adds El Shafaki. “One great example is Islamic GPS, an augmented reality app that helps Muslim travellers discover mosques and places of historical signiﬁcance.” The goal of all of these companies is not just to make it easier for Muslim travellers to ﬁnd food, prayer spaces and alcohol-free activities, but also to help them feel empowered to explore the world. e now live in an era where industries and governments around the world are addressing the demand for a more sustainable approach to all aspects of travel and tourism. Encompassing everything from climate change, damage to ecosystems and conservation of heritage to the reduction of air and noise pollution, new initiatives are being presented on an almost weekly basis. Addressing these issues has become vitally important, and with tourism a major economic driver for the UAE, the government has introduced a number of forward-thinking policies to help bring about change. Last year, Dubai Tourism launched the 12 Steps Towards Sustainability User Guide which was created “to help hotels and hospitality establishments map out a sustainable journey and trigger a positive impact on the environmental performance of the tourism industry”. This has led to a number of hotel chains embracing sustainability as a core part of their corporate social responsibility. And perhaps most encouragingly, words are now being backed by action. “It is a very big challenge for hotels to educate their clients to be more responsible in this respect, because this has been a ‘luxury’ that has been provided to them for the longest time. However, with millions of people travelling every year, there is a fantastic opportunity for hotels to reach people’s psyche and reason, and to eventually make a huge difference in the world.” The aviation sector is also rolling out a number of programmes, with Emirates introducing sustainable blankets which are made completely from recycled plastic bottles and use ecoTHREAD patented technology. Meanwhile, Abu Dhabi International Airport opened an interactive walkway between Terminals 1 and 3 which converts the footsteps of 8,000 travellers daily into off-grid electricity and data. while IHG’s Green Engage programme allows hotels to measure and manage their environmental impacts. Furthermore, Accor spelt out its sustainable development credentials back in 2012 with Planet 21, which have since been enhanced in a ‘vision for 2020’. The global operator, which serves 200 million meals a year, is committed to healthy and responsible dishes and stemming food waste in its restaurants as well as operating carbon neutral buildings. Accor’s sustainable development program involves engaging in community work and social projects, protecting children and planting 10 million trees by 2021. “It falls upon hotels, which deal with so many people on a daily basis, to incorporate sustainability in their culture and raise awareness with their clients,” added Xavier Halbi, Hotel Manager and Regional Responsible Business Coordinator at the Radisson Hotel Group. Bee’ah, has selected French firm CNIM to design, construct and manage the country’s first waste-to-energy plant, which will process around 300,000 tonnes of the region’s waste annually and generate up to 30MW of electricity, enough to power 28,000 homes. Similarly, Dubai is looking to move forward in the fields of renewable energy, sustainability and the environment. The Supreme Council of Energy has set a strategy to reduce carbon emissions by 16 per cent, equivalent to reducing 11 million tonnes of carbon dioxide by 2021. Dubai Electricity and Water Authority is also striving to support the emirate’s efforts with a number of green projects and initiatives. These include the Mohammed bin Rashid Al Maktoum Solar Park, which is set to become the largest single-site solar project in the world. It will produce 5,000MW by 2030 and will achieve a reduction of approximately 6.5 million tonnes of carbon emissions annually. These projects not only prove sustainability is being taken seriously but rising higher up the UAE’s agenda. aking use of its diverse landscape, Ras Al Khaimah has emerged in recent years as a popular destination for tourists seeking a sense of adventure. Home to soaring sand dunes and the UAEâ&#x20AC;&#x2122;s highest mountain, the emirate has found a way to stand out in a crowded market by oďŹ&#x20AC;ering some truly unique experiences. We speak to Haitham Mattar, CEO of Ras Al Khaimah Tourism Development Authority (RAKTDA) to discover what the city has in store as it bids to attract three million visitors by 2025. HOW HAS RAS AL KHAIMAH LOOKED TO CAPITALISE ON ITS DIVERSE LANDSCAPE AND INCREASE ITS APPEAL TO ADVENTURE TOURISTS? RAKTDA has invested heavily in a range of adventure products which leverage the emirate’s superb array of natural assets, with a key focus on Jebel Jais and the surrounding area. It is home to the world’s longest zip line, numerous hiking paths, as well as the Viewing Deck Park where visitors can enjoy magnificent sunrises and sunsets. The Jebel Jais shuttle service has also made it easier for visitors and residents to access the UAE’s highest mountain. With the adventure tourism approach, we wanted to build on Ras Al Khaimah’s established popularity with avid hikers and tour groups tempted by the rocky pathways which skirt ancient villages in the mountain ranges. We are now attracting road-trip enthusiasts since the opening of a newly extended road which snakes up towards Jebel Jais. We are also working closely with reputable tour operators such as Challenging Adventure, Adventurati Outdoor and Wonder Lead, so visitors can join guided tours. HOW BIG A PART DOES ADVENTURE TOURISM PLAY IN YOUR PLANS TO ATTRACT MORE VISITORS TO THE EMIRATE IN THE COMING YEARS? It is definitely one of the key areas we are focusing on. In fact, we have just launched Ras Al Khaimah’s Destination Strategy 2019-2021, which sets out the vision and strategic framework for growing tourism in the years ahead, and adventure tourism will be a huge factor as we aim to attract close to 1.5 million visitors by 2021 and three million visitors by 2025. Relevant ATM Session: UTILISING DESTINATION BRANDS TO ATTRACT HIGHER VALUE TRAVEL CONSUMERS Inspiration Theatre 1 Moderator: Greg Klassen, Partner, Twenty31 Consulting Inc. Speaker: Haitham Mattar, CEO, RAKTDA; Joe Naaman, EVP, Skylight Intelligence; Olof Atladottir, Director, Destination Marketing, The Red Sea Development Company Tuesday, 30 April - 12:45 - 13:30 Our vision is to continue to develop Ras Al Khaimah as a compelling destination for visitors seeking authentic culture and naturebased experiences. Through our promotional activities across our global representational offices, and through our collaboration with trade partners, the emirate is being presented for its rich heritage, stunning landscape and emerging adventure tourism products. LAST YEAR RAS AL KHAIMAH LAUNCHED THE WORLD’S LONGEST ZIP LINE, ARE THERE PLANS TO INTRODUCE ANY NEW ATTRACTIONS THAT WILL APPEAL TO THRILL SEEKERS? HOW WILL YOUR ADVENTURE ATTRACTIONS FARE DURING THE SUMMER MONTHS WHEN, TRADITIONALLY, THE NUMBER OF TOURISTS COMING TO THE UAE SIGNIFICANTLY FALLS? We certainly oﬀer a lot of outdoor activities, so with the climate being four degrees cooler in the summer and 10 degrees cooler in the mountains, it is deﬁnitely an advantage. And thrill seekers are not just limited to the zip line and the via ferrata, Ras Al Khaimah’s diverse topography is great for hiking, abseiling and canyoning. Bikers of all levels can also enjoy unique outdoor experiences between the Hajar Mountains and the wadis. The emirate’s desert is also one of the most fertile in the region, owing to a higher-than-average rainfall. Visitors can capture an insight into the life of Bedouins at various desert camps or take part in a variety of activities including four-wheel-drive safaris and horse or camel treks. For a more unique experience, visitors can enjoy unrivalled horse and camel riding excursions oﬀered by the Al Wadi Equestrian Center in the heart of Wadi Khadeja. OTHER DESTINATIONS IN THE REGION ARE BEGINNING TO EXPLORE ADVENTURE TOURISM, HOW WILL YOU ENSURE YOUR OFFERINGS REMAIN THE MOST APPEALING TO TOURISTS? Our competitive edge and charm comes from what we promise our travellers, which is an authentic and accessible Arabian experience. We take a great deal of pride in being the outdoor adventure capital of the UAE and we will always explore new ways to enhance the experience of visitors. We are in talks with hotel operators and investors for a unique, ecotourism project which will complement the array of adventure tourism attractions we are renowned for. With our pristine beaches, natural beauty, cultural heritage and unrivalled experiences, we feel that Ras Al Khaimah is a truly unique destination. hen delving into the origins of the world of wellness, you soon discover that it can be traced back to the ancient civilisations of Rome, Greece and Asia. Traditional Chinese medicine applied a holistic approach to health and wellbeing some 4,000 years ago, while the Greek physician Hippocrates was one of the ﬁrst to focus on preventing sickness instead of simply treating it, back in 500 BC. Yet it seems the global wellness movement is a far more modern phenomenon. The tipping point came in the 21st century when ﬁtness, diet and healthy living began to transform every industry, from food and beverage to clothing and travel. businesses who want to appeal to this market by creating experiences that feed the mind and sooth the soul. However, with the concept of wellness still constantly evolving, what will the industry look like in the near future? Here we highlight the four important trends that are set to inﬂuence the wellness travel world in the coming years. programs, you can feel radical simplicity making a real comeback, and the ‘back to nature’ trend speaks to that,” says Ellis. “Just a few years ago, the term ‘spa and wellness travel’ would conjure pampering, or more passive, experiences, like gently practicing yoga or a week of stressreducing treatments. But now more people seek wellness destinations that will push them harder, where they conquer challenges, where they engage in tougher experiences to achieve what they most seek: transformation,” explains Ellis. This trend is all about triggering your endorphins by partaking in activities such as kayaking, abseiling or mountain trekking. Using it as a tool for self-improvement, these exhilarating experiences will help clear you from a cloud of laziness and help you feel more motivated. uxury five-star hotels account for a third of Dubai’s inventory. Amid the never-ending mid-market charge, it is a timely reminder of the top end sector’s pivotal importance to Dubai – and other key Middle Eastern cities – and, despite uncertain economic times, the resilience of luxury travel. Walk into the lobby of Emerald Palace Kempinski Dubai, which opened last November, with its 28,000 Swarvoski crystal chandelier and 24 carat goldplated designs, and you can’t help be impressed. It’s also a sign that Dubai’s love affair with luxury is only intensifying. The scale allows entertainment options that few five-star hotels could even consider. Classical music concerts are held in the Blüthner Hall lobby lounge, an 80-seat private cinema with reclining leather seats can be hired for events and the spa spans a colossal 3,000 square metres. Asian travel, with more people prepared to spend on experiences rather than goods. In terms of the millennials and luxury travel, he said a certain number are willing to spend but they’re a small part of the overall market. Explaining: “In essence, what one’s trying to do is to create something that appeals to millennials but actually is used by those of a greater age group.” Luxury travellers now have the opportunity to experience a hybrid experience that combines the convenience of the internet with the ‘hyper-personalised’ experience of liaising with travel experts to curate bespoke itineraries. One of the key growth areas is destination weddings, where a third party is more likely to be involved in order to design the ‘perfect day’. This is in line with WTM’s ﬁndings in its Trends in Luxury Travel report which highlighted that personal and exclusive experience that ‘let the client be in control’ are becoming increasingly popular. Hotels like Barriere Le Fouquet’s in Paris allow their guests to choose details such as pillow type, the music they want played when they walk in, and even the type of ﬂowers they want in the room. This is especially helpful for hotels as it allows guests to feel that their stay is unique and especially tailored for them, and more importantly, diﬀerent from all the other guests staying in the same hotel. Increasingly, travellers are happy to tailor their preferences before they travel and are prepared to pay a little extra in order to give their travel experience an element of exclusivity. Look out for The Evolution of Bespoke Luxury Travel seminar (April 30, 1.45pm-2.45pm), where brand leaders and travel operators will discuss how established brands can adapt their products and attract customers who are seeking something far more than a generic hotel or resort experience. ne of the biggest travel trends for 2019 is that tourists are increasingly seeking oﬀ the beaten path destinations where they can indulge in a sense of adventure or witness nature at its ﬁnest. And despite the Middle East being known for its record-breaking attractions and futuristic cities, the region is also home to some little-known gems that are just waiting to be discovered. everyone here. For those looking for relaxation, Siwa provides the ultimate serenity, with rows of palm trees leading to natural springs that are just perfect for taking a cooling dip. Those seeking a little more adventure can drive out to the Great Sand Sea and race up and down the endless dunes, while nature lovers will appreciate the simply stunning sunsets that close each day. History lovers, meanwhile, will be spoilt for choice. Visitors can explore the 13th century, mud brick Fortress of Shali, where the people of Siwa once lived, and walk the labyrinth of ruins that lead to a mosque that is still operating today. The Mountain of the Dead holds tombs dating back to the 26th Dynasty during the Ptolemaic period, while the Temple of the Oracle, also known as Aghurmi or Amun Ra Temple is where Alexander the Great headed when he visited Egypt. And while there may not be any luxury hotels in Siwa, visitors will still be able to experience star treatment as they camp underneath the night sky. Al-Ahsa was recently named Arab Tourism Capital for 2019 by the Arab Ministerial Council for Tourism, having also been awarded UNESCO World Heritage Site status last year. Categorised as one of the oldest human settlements in the Arabian Peninsula, it’s home to the largest oasis in Saudi Arabia, boasting more than three million palm trees and lots of hot and cold springs, all amid an expanse of sand. Here, visitors will ﬁnd a huge lake, historical buildings and ancient archaeological sites where history buﬀs can trace details back to the Neolithic period, more than 10,000 years ago. been set up along the banks of Hatta Dam, enabling people to enjoy sleeping underneath the stars in ﬁve-star luxury. With construction work for a boutique hotel, majlis, retail outlets and specialised zorbing centre ongoing, Hatta will soon have even more to oﬀer its visitors. Those wanting to truly enjoy the Dead Sea need to get oﬀ the tourist trail and head to Wadi Mujib. Known as the Black Gorge, it’s the lowest nature reserve in the world and the number one spot for fun in the water: think hiking, canyoning, sliding and swimming. Sections of Wadi Mujib also cover the Mujib Biosphere Reserve, which is home to more than 300 species of plants and numerous rare mountain animals. Located in the mountainous landscape to the east of the Dead Sea and stretching 70 kilometres, this spectacular chasm has been given the nickname, the ‘Grand Canyon of Jordan’. Known in biblical times as Arnon Valley, the canyon also has a hiking trail that leads all the way to the fascinating city of Petra. The ideal destination for adventure seekers, visitors to Wadi Mujib can abseil down sheer cliﬀs, swim in clear waters and hike through the rugged terrain.